A Study in Moss, Stone and Sky. Looking through a 5000 year old archway. 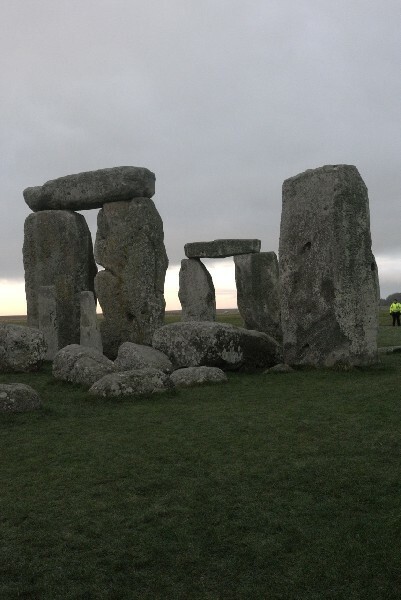 In order to get to see Stonehenge up close and in relative peace, I had to get up at 5 AM to board a luxury bus at 6 AM sharp in London with a bunch of 20 other shivering Americans, Australians and Europeans. It was quite dark when we started out. The bus had a knowledgable guide on board who said that he was a studio rock musician in his youth. Dressed in a brown suit and tie, he looked like someone's bald retired uncle. He regaled us with stories of history and jokes about the royal family. 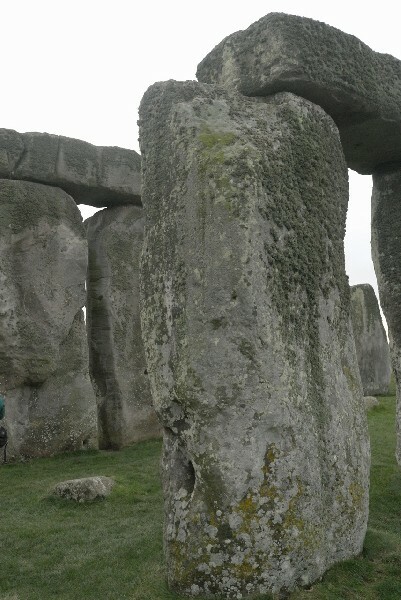 He also explained the mystery of Stonehenge by discussing various theories. 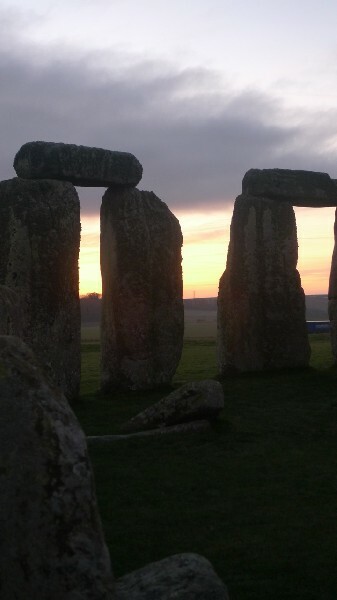 My quest was to photograph Stonehenge. 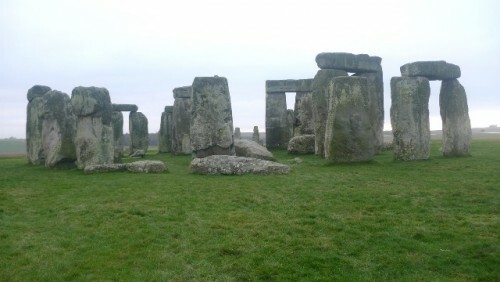 About two hours southwest of London, it appears suddenly out of your vehicle's window. 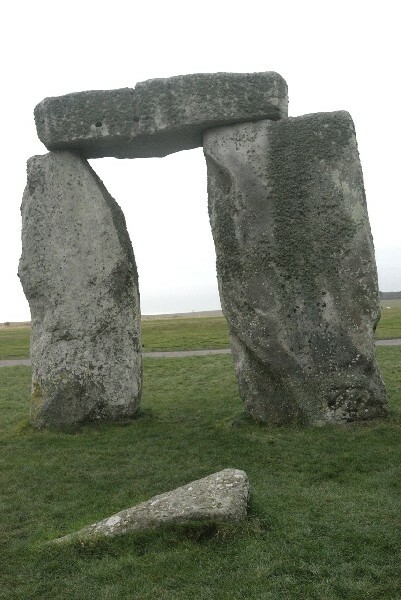 The first glimpse of it often comes from the A303 highway that cuts almost across the monument's entrance. 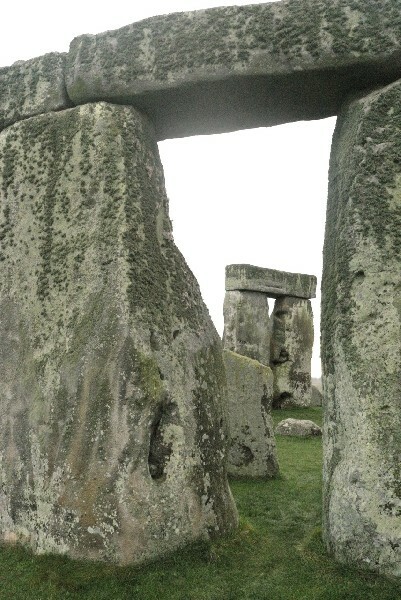 Stonehenge appears as a cluster of insignificant protrusions on the big, otherwise featureless plain. Of course, its looming silhouette is from a prehistoric time. No one really knows who built it or how long it took to build. 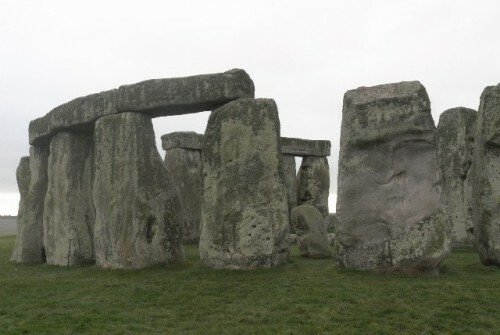 However, it was not built by a bunch of blue faced druids for they came almost 3000 years later or by by wizards and witches or by metal encrusted knights of the round table and their serfs during the Dark Ages. Who ever built it, built it as a sacred place. 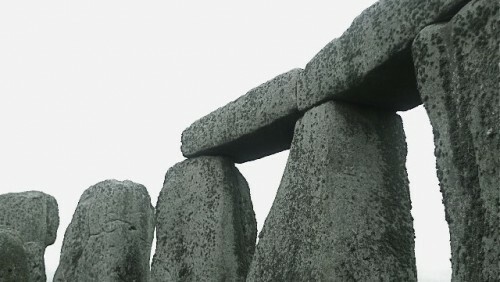 It is truly an ancient memorial as well. Up close, it appears smaller than its impressive reputation. 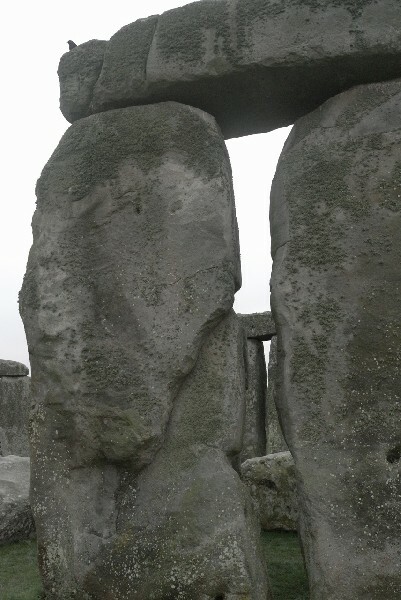 However, the erection of the famous sarsen stones with the largest weighing as much as 50 tons is greatly mysterious. 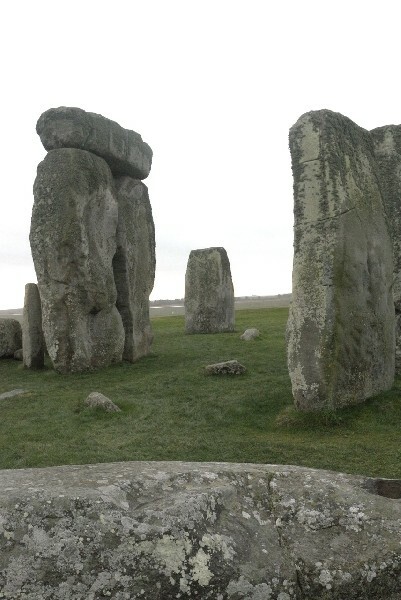 How were these huge stone slabs quarried and transported well before the use of wheels? 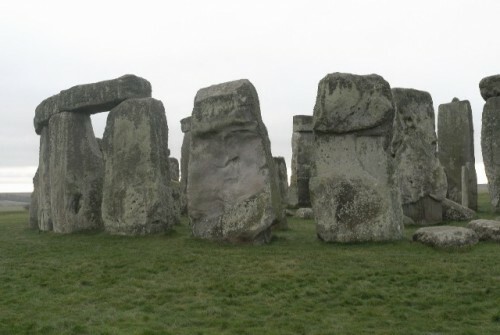 Stonehenge was probably also unique in its own time, some 4,500 years ago. 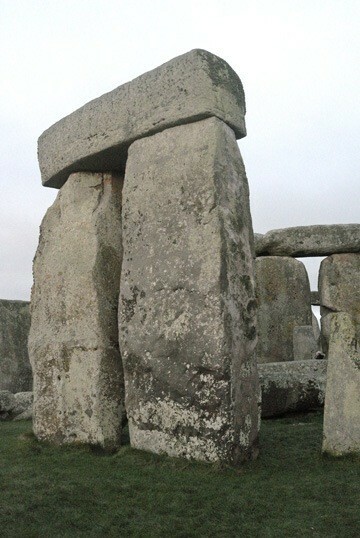 It was a stone monument modeled probably on timber precedents. Its age is roughly the same as the Stepped Pyramid at Saqqara near Cairo. 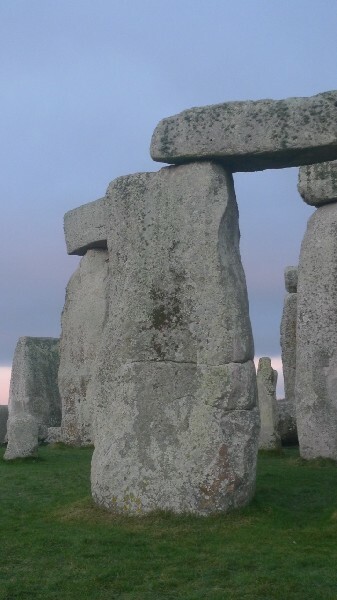 Its massive lintels were bound to their uprights by mortise-and-tenon joints taken straight from carpentry. This is a brilliant piece of engineering that underscores just how radically new this monument must have been. 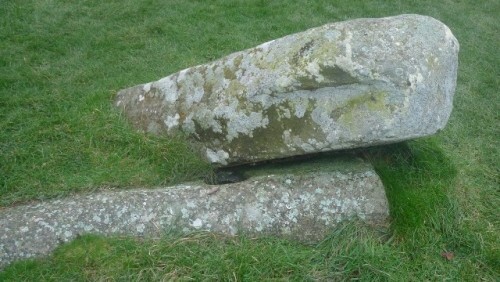 It is this utter newness, this resonant quality, that is still clearly etched in its ruined stones. 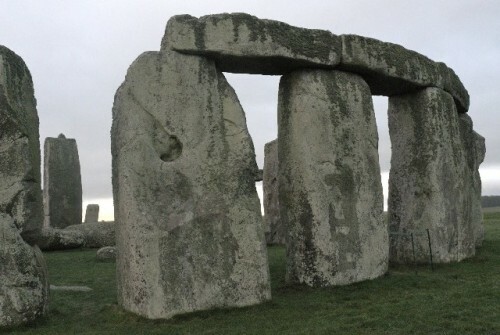 The people who built Stonehenge had discovered something previously unknown. 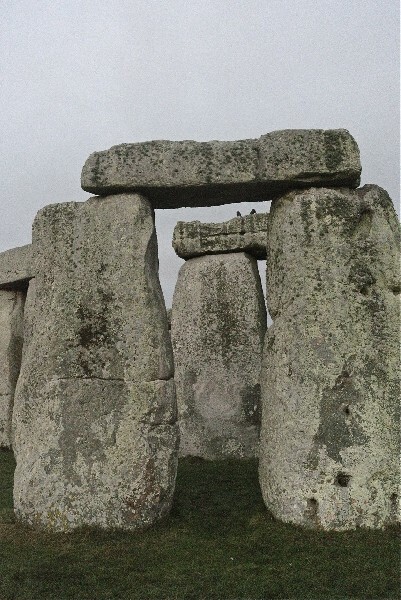 There is no doubt that the purposefully placed stones are full of meaning. But meaning what? 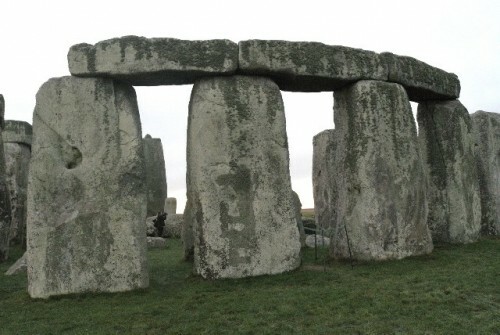 Stonehenge is perhaps the most famous relic of prehistory in Europe and one of the best known, most contemplated monuments in the world. But we have no clear idea what the people who built it actually used it for. 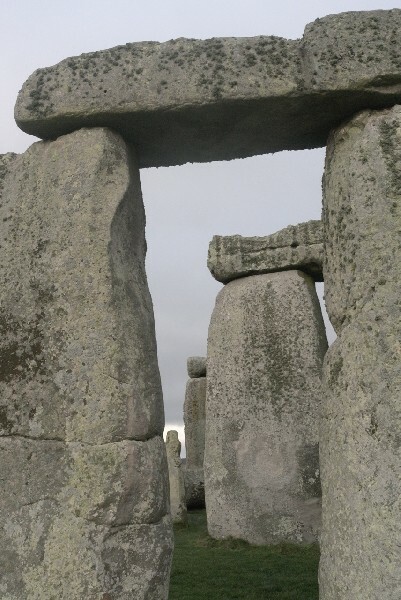 This structure came from a rich tradition of equally enigmatic physical forms and structures. 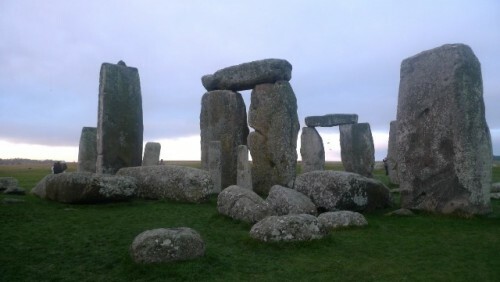 Henges or circular banks of earth paralleled by an internal ditch, earth barrows, mounds, circular timber structures, monoliths, and circles and horseshoes of stone were all common throughout Neolithic Britain as well as parts of continental Europe. 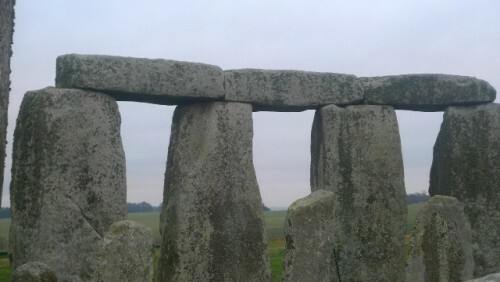 At some point, there was probably a relationship between water and Stonehenge. 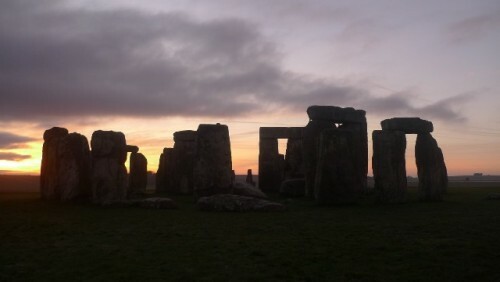 Recently, archeologists have theorized that Stonehenge was a site for great pilgrimages at the two solstices. 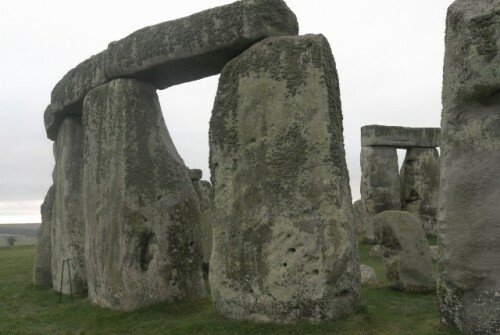 They have theorized that Stonehenge was probably a sacred site that dealt with death and dying, and a long ago deteriorated wooden circle not too far away probably on the water dealt with birth and life. Perhaps the wooden structure was rebuilt every year? 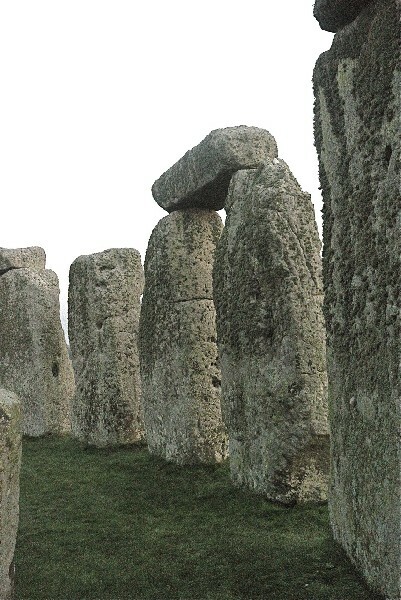 This seems to explain some of the Stonehenge mystery but certainly not anywhere close to all of it. 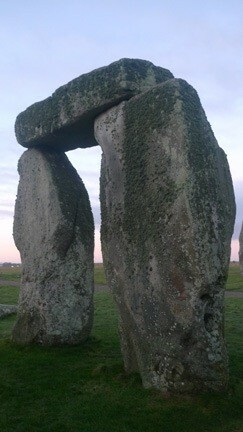 The answers remain in those ancient monolithic stones. 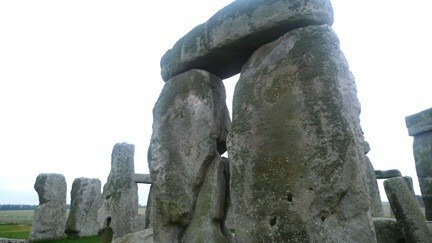 By the way, our guide pointed to the ravens perched on top of the stones and asked if they were birds or spirits. We were not sure. "My theory is that the rocks were tumbled when the Romans left Britain, to hide their taunting graffiti - Veni, Vidi, Vici - Kilroy of the day. My "update" is at www.freewebs.com\crgw2011\venividivici.htm "